For So Long You All Have Asked For Some Pro Audio Mixing Tutorial Packs & Now They Are Here!! 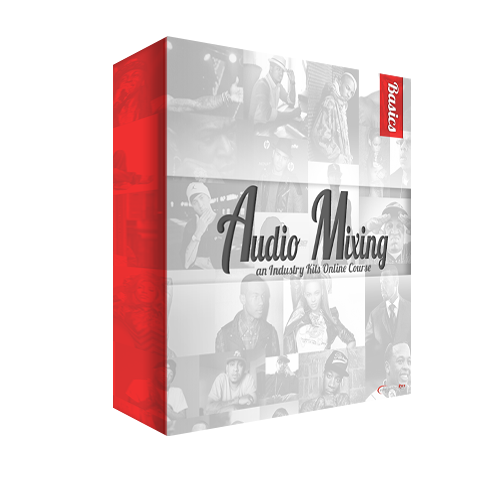 These Tutorial Packs Come With Sections Covering Many Mixing & Mastering Tips, Tricks & How To's. There Are Voiced Videos Walking You Through Everything. The Audio Mixing Series Has A BASIC & An ADVANCED Expert Edition. Dependng On How Much You Need To Know & What You Already Know Will Determine Which If Not Both Are For You. There Is A LOT To Learn Here With About 2GB Of Content For The Basic Edition Alone & For The Price You Just Can NOT Beat This. The Teachings In This Pack Use Different DAW Softwares & Mostly 3rd Party VST Plug Ins So You Can Apply What You Learn Here To Any DAW Software. Remember...KNOWLEDGE IS POWER. These Tutorial Packs Were Made By A Highly Skilled, Full Sail Graduate With A Degree In Recording Arts As A Certified Mixing Engineer. Click The "View Demo" Button Below To See A ScreenShot Of What All This BASIC Edition Covers. Also CheckOut The VIDEO DEMO Below.